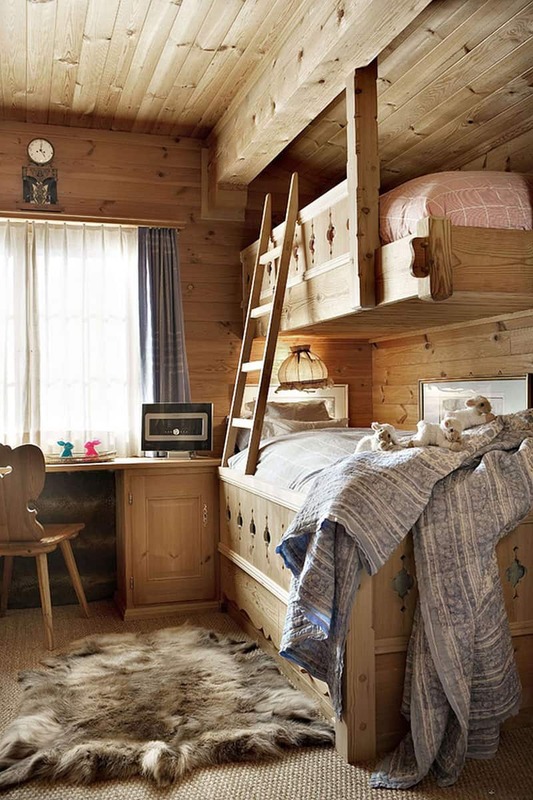 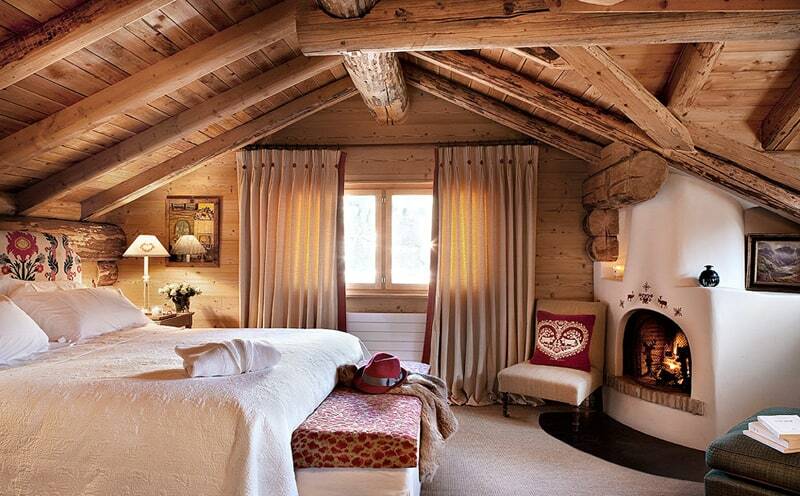 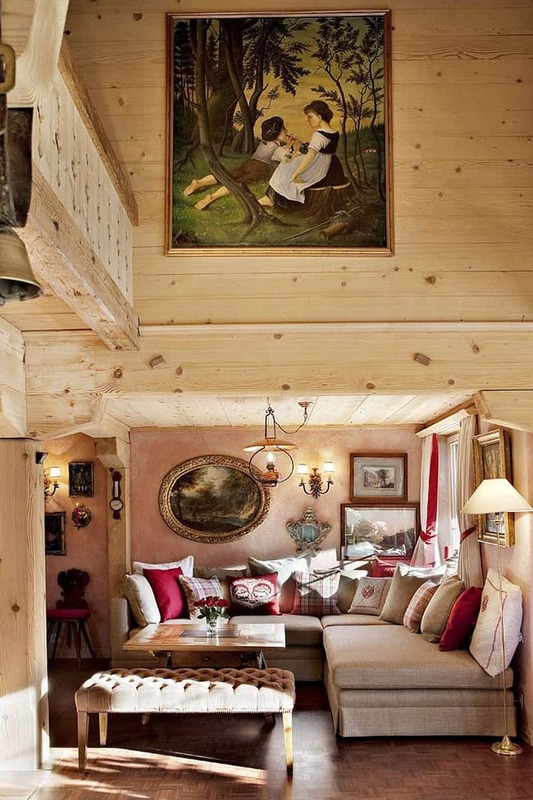 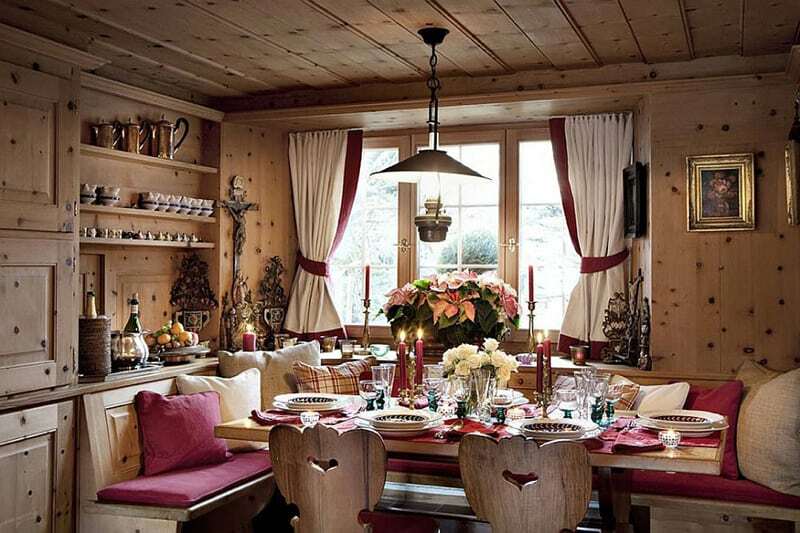 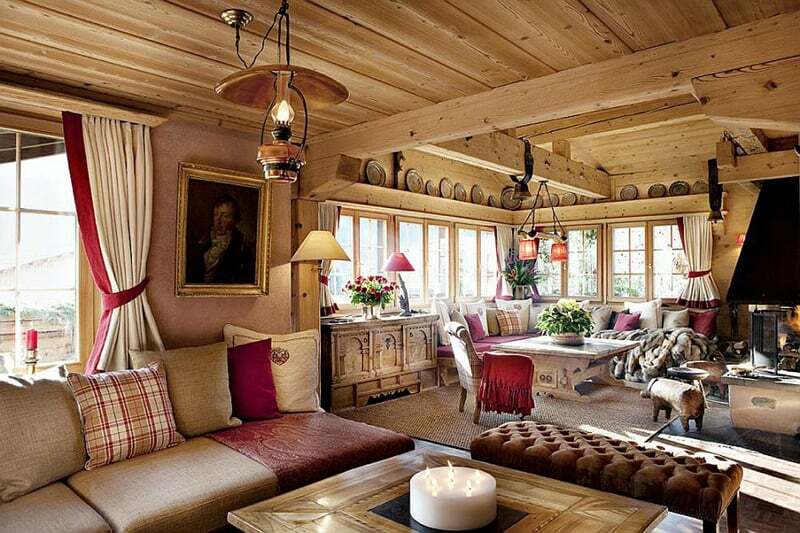 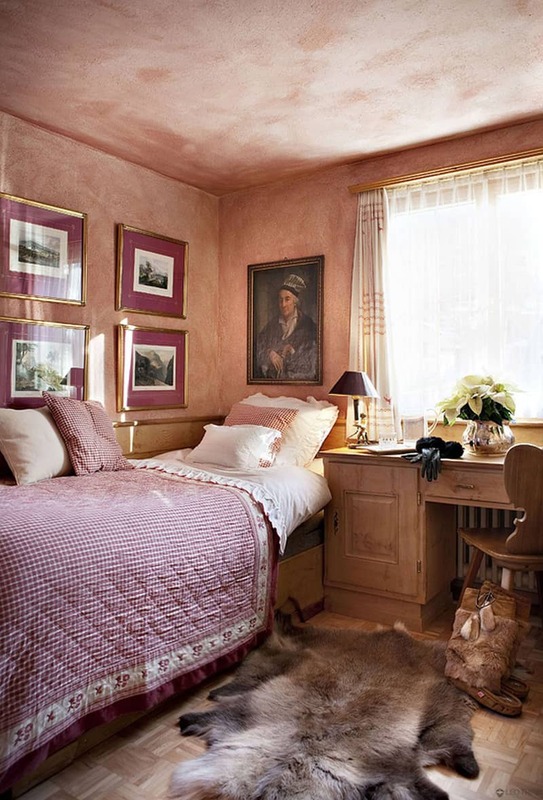 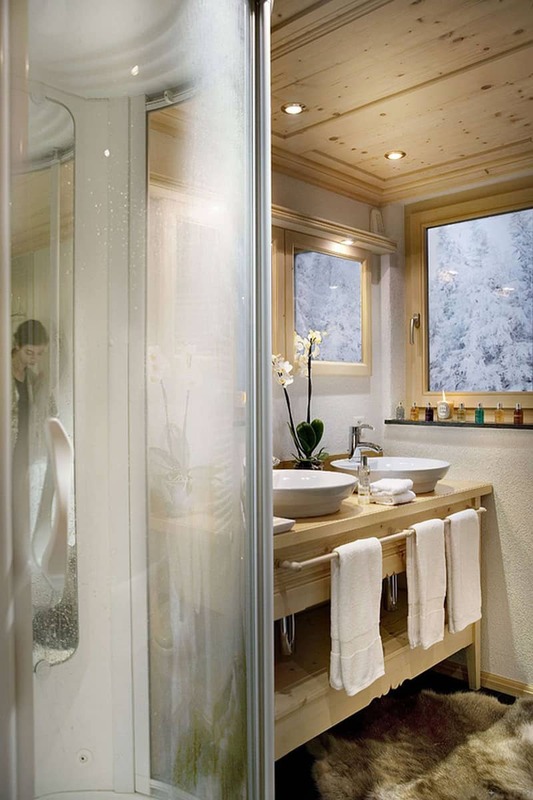 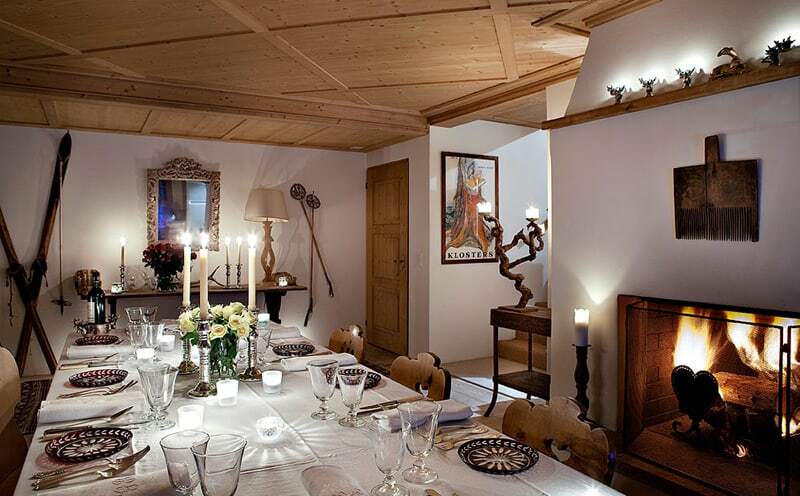 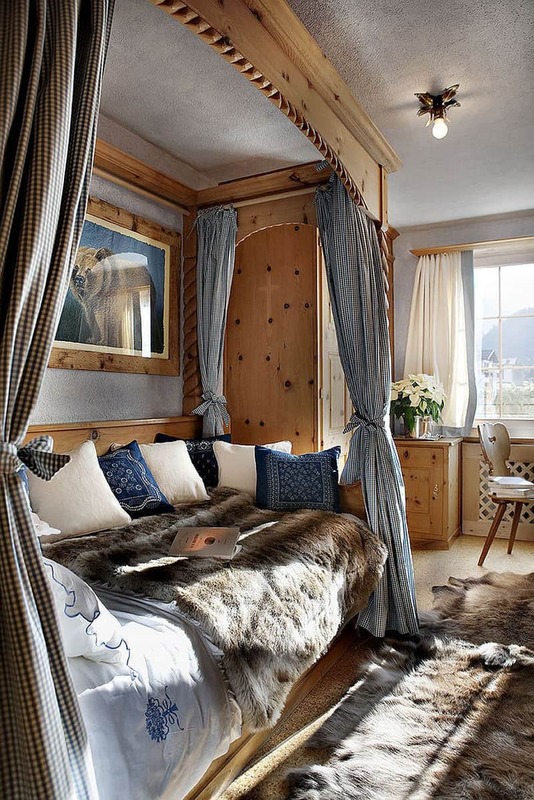 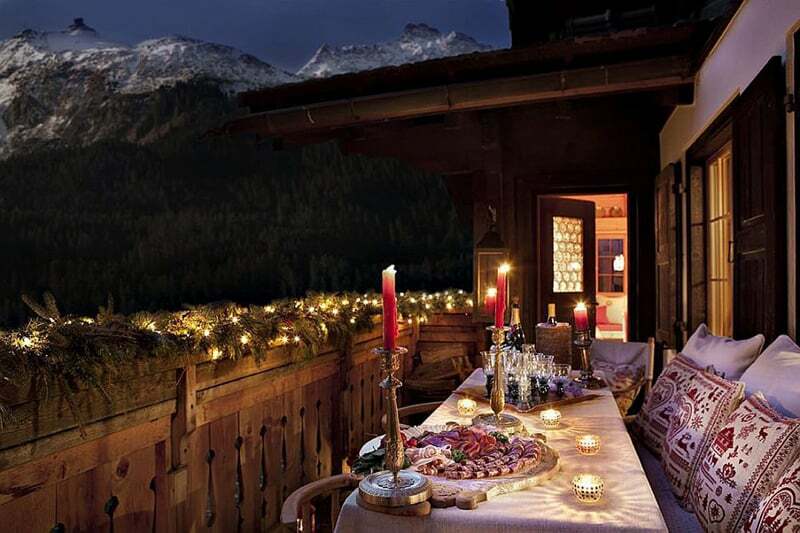 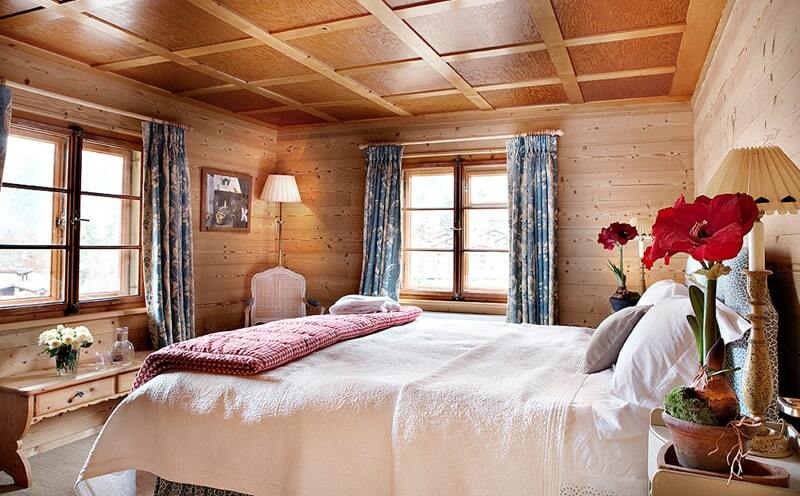 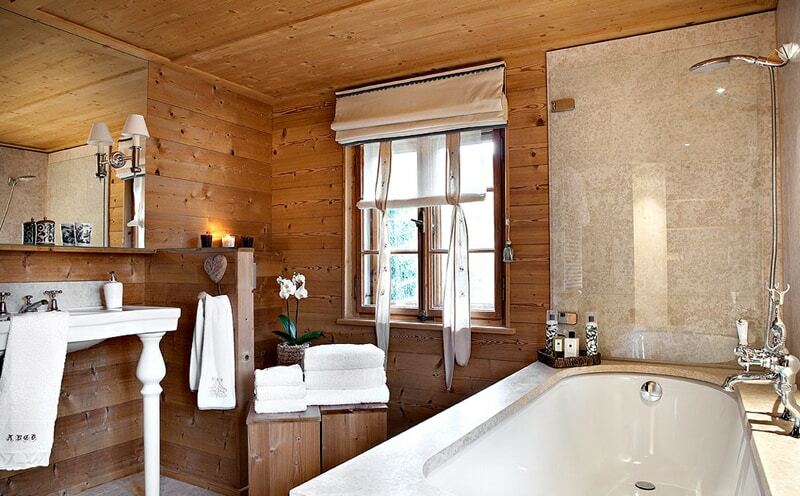 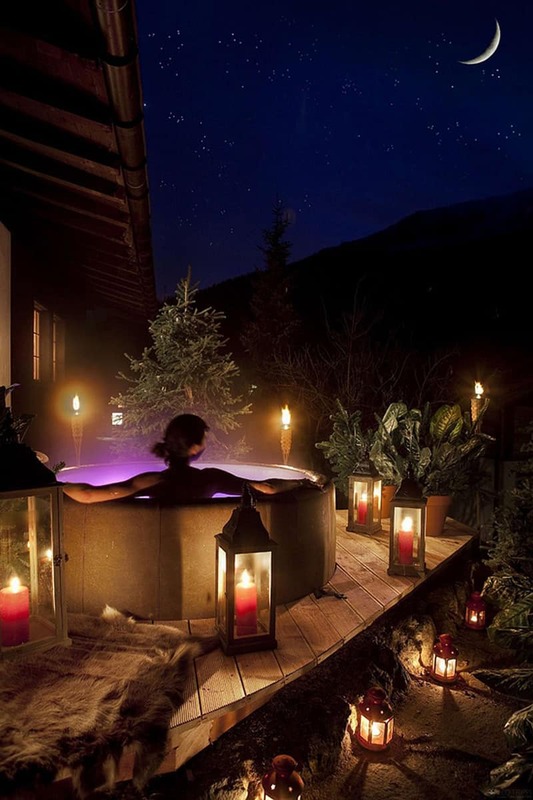 Chalet Bear is a wonderful private luxury chalet in the exclusive ski resort of Klosters, Switzerland. 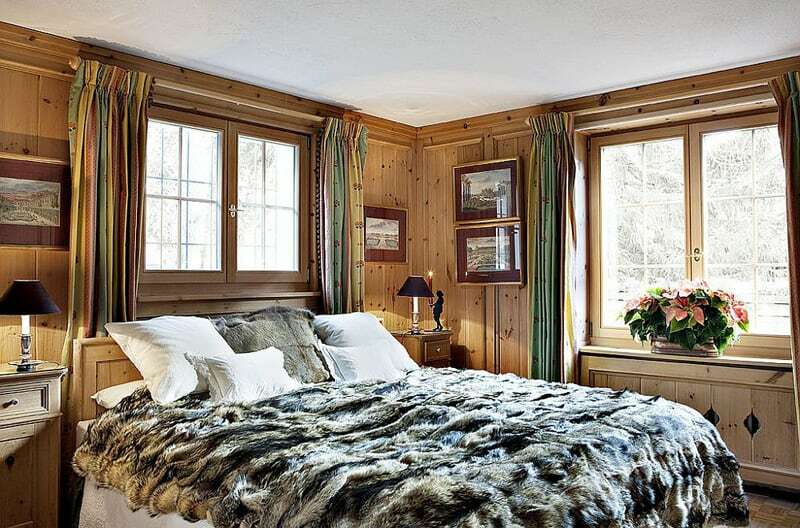 Chalet Bear is a luxury chalet for rent in Klosters, voted by the Daily Telegraph as amongst the top ten chalets to rent in Switzerland. 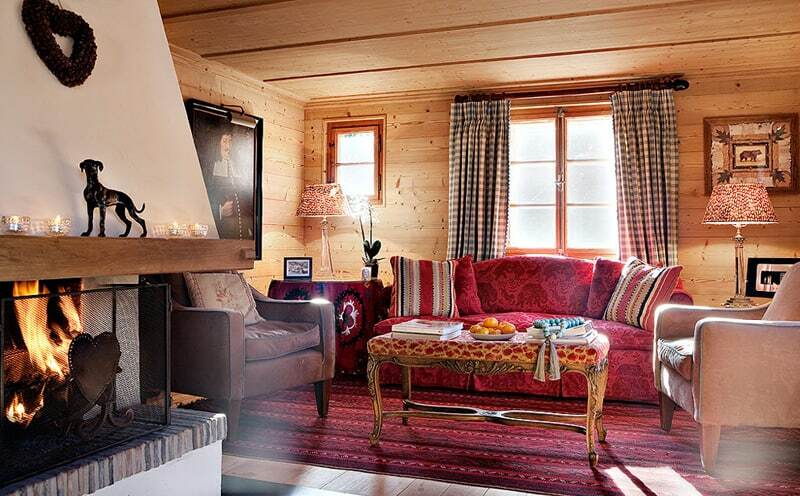 Recently named as one of the top 10 private chalets in Switzerland, it sits on a small hill, with sensational views and a 5 minute walk to the lifts and centre of the village. 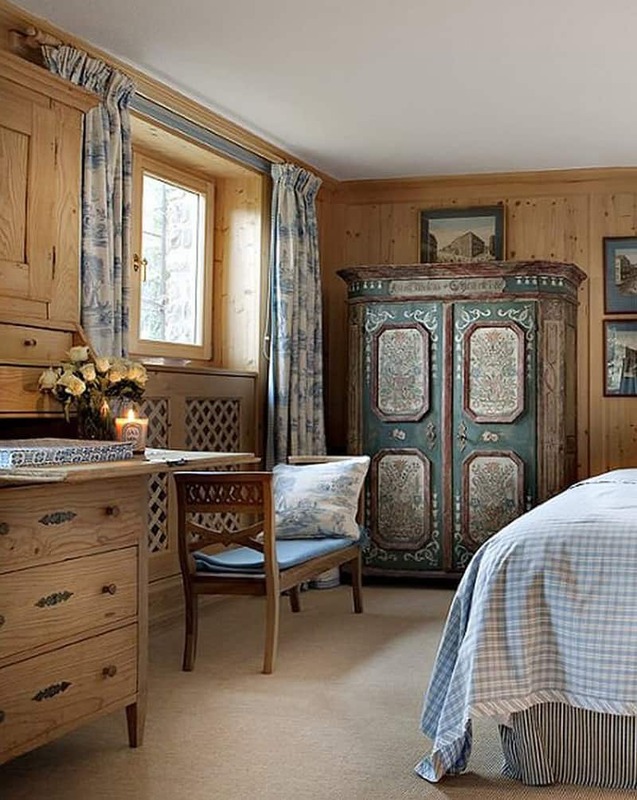 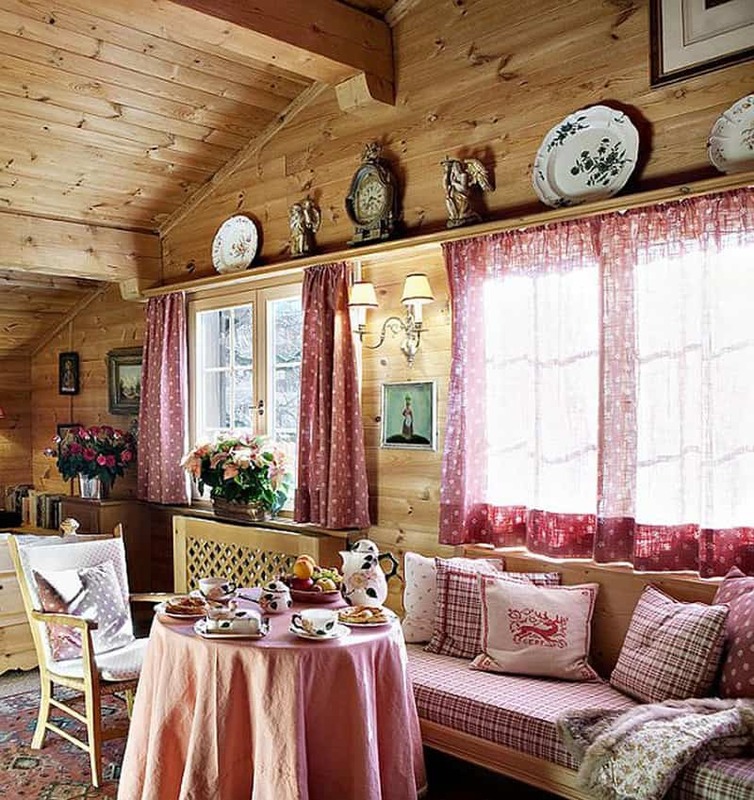 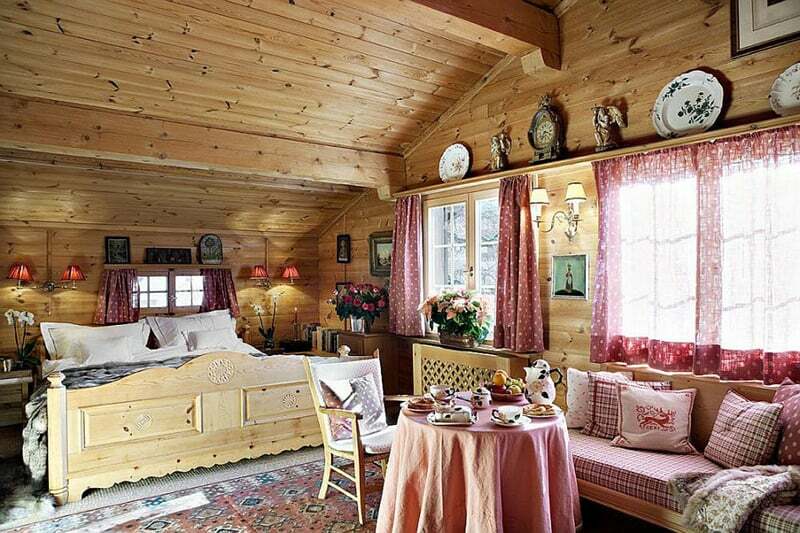 One of the last log chalets left in Klosters, this chocolate box of a chalet was completely refurbished in 2006. 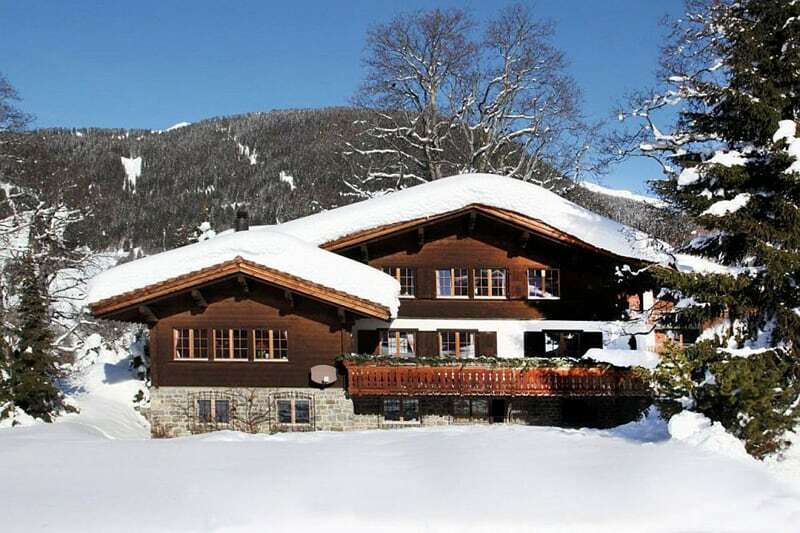 It has 4 bedrooms and 4 bathrooms and sleeps 8 people. 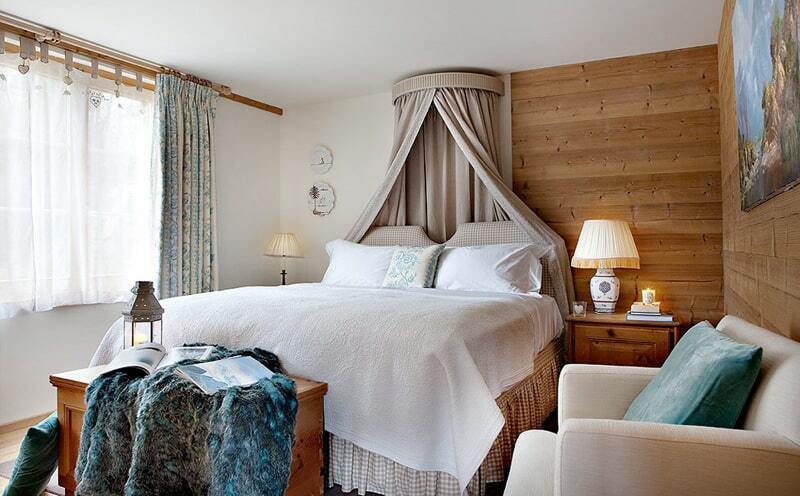 A dedicated chef and house keeper will look after your every need, whilst you can relax in front of a roaring fire after a great days skiing. 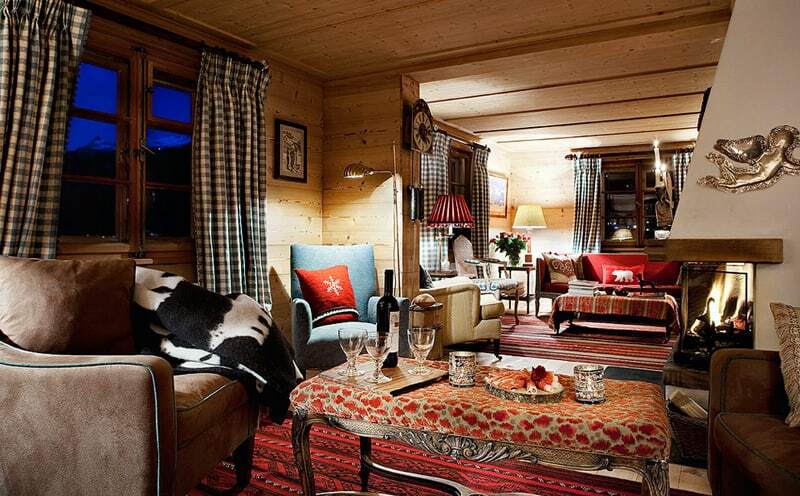 Photographed for Interiors magazine, Chalet Bear has been recently refurbished to a luxuriously modern standard, and sleeps up to eight people in great comfort. 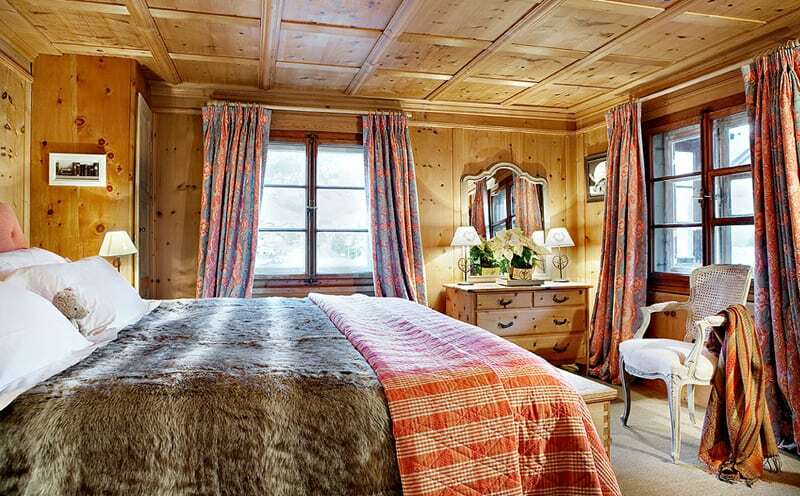 It now offers cosy sitting rooms, bedrooms with wonderful linen, and three fire-places (one of which can be found in the master bedroom). 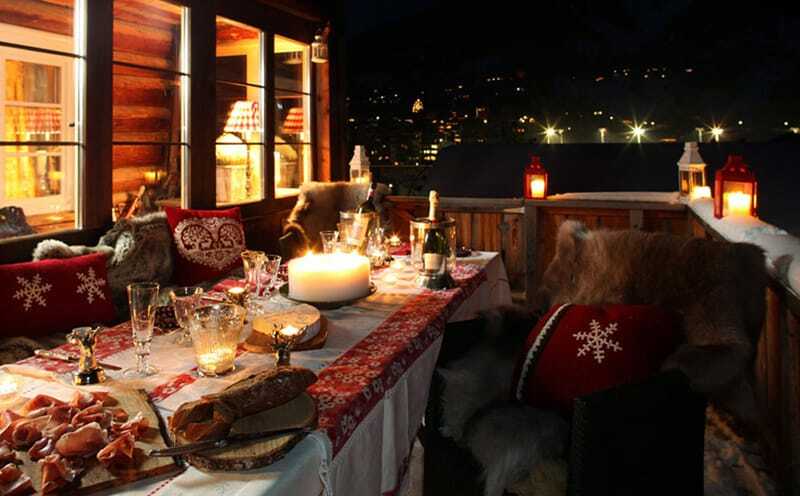 It also features beautiful balconies and a terrace overlooking the stunning vista of the resort.